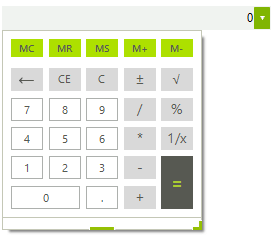 The following example demonstrates how to set up RadCalculatorDropDown with a minmum popup width and height. 1. 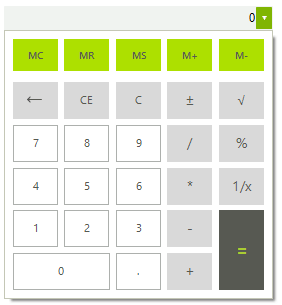 Drag a RadCalculatorDropDown on a form. 3. Press F5 to run the application. Click the arrow button to open the drop-down. Notice its size equaling that of the editor.